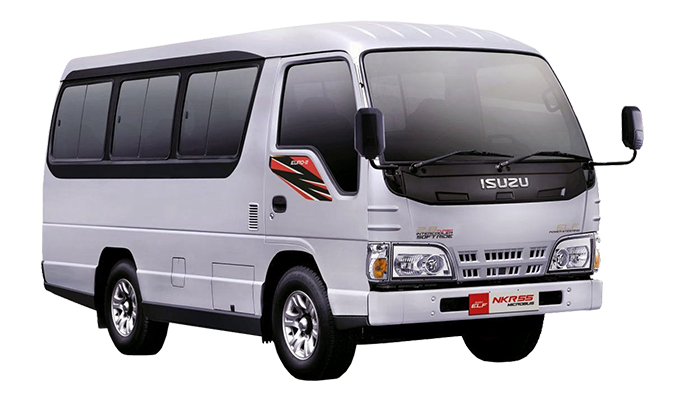 Isuzu ELF Rental in Bali is one of the solutions for you coming to Bali in small group, you can consider renting a mini bus compared to renting 2-3 small cars to save cost. Isuzu ELF have two options, 14 seaters and also available 18 seater (Isuzu ELF Long) which will offer you a comfortable and enjoyable ride in Bali for visiting places of interests, visiting shopping centres and also to cullinary heavens. Comfort is the main factor offered by this mini bus, Air Conditioned which blows col air throughout the whole cabin. For renting Isuzu ELF in Bali, the price will include a driver and gasoline. All price are inclusive of 21% tax. Rate is included Gasoline and Driver. All vehicles are fully insured. Only for use within Bali Island and cannot go outside of the island.